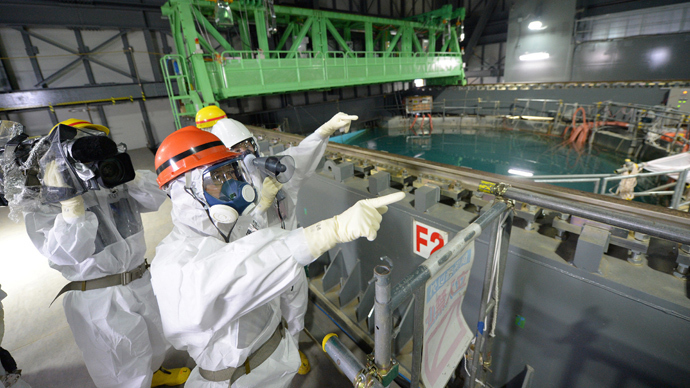 A powerful typhoon which swept through Japan led to highly radioactive water near the crippled Fukushima nuclear power plant being released into a nearby drainage ditch, increasing the risk of it flowing into the sea. On Wednesday, Tokyo Electric Power Co. (TEPCO), the plant’s operator, said it had detected high levels of radiation in a ditch leading to the Pacific Ocean, and that it suspected heavy rains had lifted contaminated soil. Workers say that Strontium-90 – a radioactive isotope of the alkaline earth metal strontium produced by nuclear fission – along with other isotopes that emit beta rays measuring 1,400 becquerels (Bq) per liter were detected in the ditch, which is located about 150 meters from the ocean, The Asahi Shimbun reported. The legal standard for strontium emissions is 30 becquerels per liter. One becquerel is defined as the activity of a quantity of radioactive material in which one nucleus decays per second. The water was collected Wednesday, one day after Typhoon Wipha slammed into Japan. On Tuesday, when the storm swept over eastern Japan, the radioactivity level was 19 becquerels per liter, TEPCO said. Rainwater pumped out at the site on Wednesday proved to have radioactivity levels that were lower than provisional standards approved the previous day by the country’s Nuclear Regulation Authority. The workers, therefore, believe the rainwater is not the cause of the high levels of radioactivity discovered in the ditch. 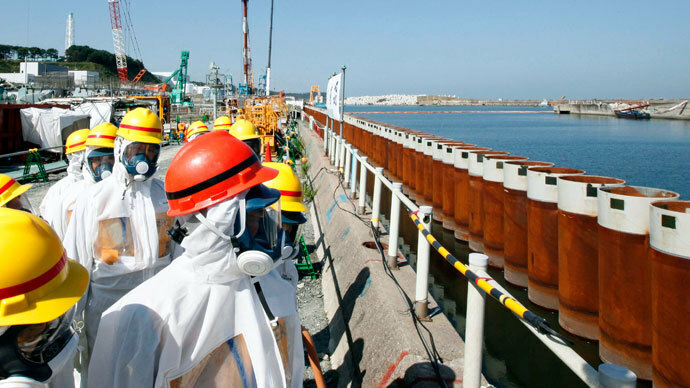 TEPCO workers will clean out the drainage ditch, as it currently remains unknown if any of the highly contaminated water has flown into the ocean. Typhoon Wipha, described by weather forecasters as the strongest in a decade, left at least 17 people dead and 50 missing in its wake. 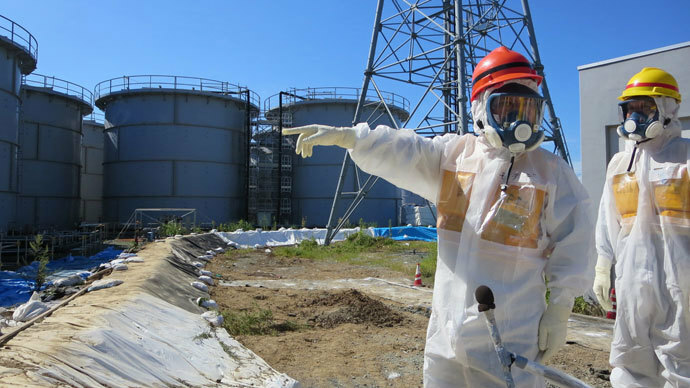 The storm grazed the Fukushima coast around midday, although it did not cause any new damage to the plant and its temporary containers where radioactive water is stored. More than 80 centimeters of rain fell in less than 24 hours, forcing TEPCO to pump out massive quantities of rainwater collected in the protective containers where more than 1,000 temporary tanks with contaminated water are being stored. 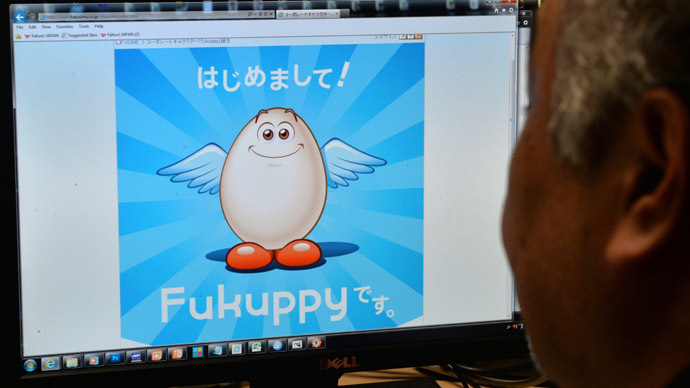 The rainwater was checked for radioactivity and released into the sea, a company spokesman told Reuters. 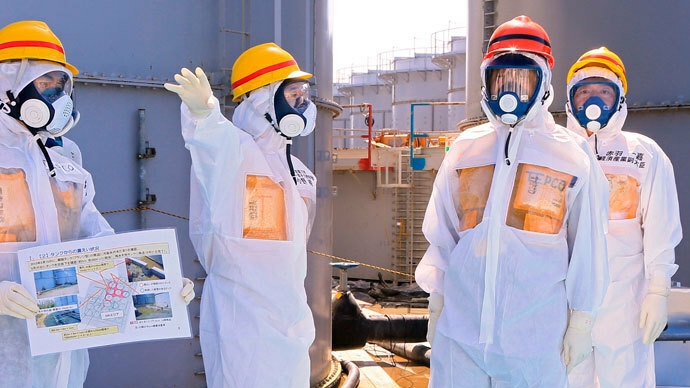 Earlier this month, TEPCO announced 430 liters of polluted water had spilled from a tank as the company’s employees tried to remove rainwater dumped at the plant by recent storms. It is unknown how much of the contaminated water flowed into the sea.